Our selection criteria for all categories is the same every year: the items have to be things we have actually used or things we would actually want. For our RainyDayScience readers, we have a roundup a few of our favorite astronomical and meteorological items for 2015. Two of our all time favorite items are the Illuminated Globe and the Irrational Numbers clock. They are excellent things to have around day or night. 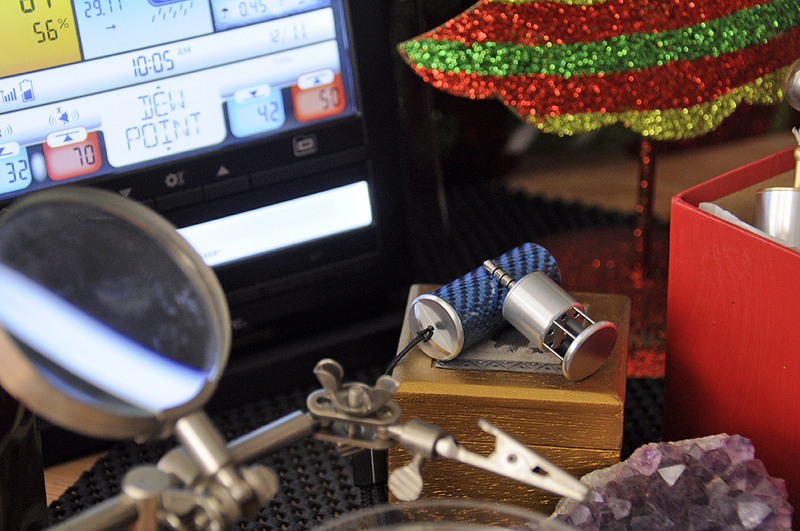 While Newton’s Cradle (we called it The Executive Ball Clicker) is a fantastic desktop conversation piece, we have two even more fascinating desktop, uh, toys. Super Precision Gyroscope and Gimbal – 12,000 revolutions per minute, runs smoothly and almost silently for up to 25 minutes! 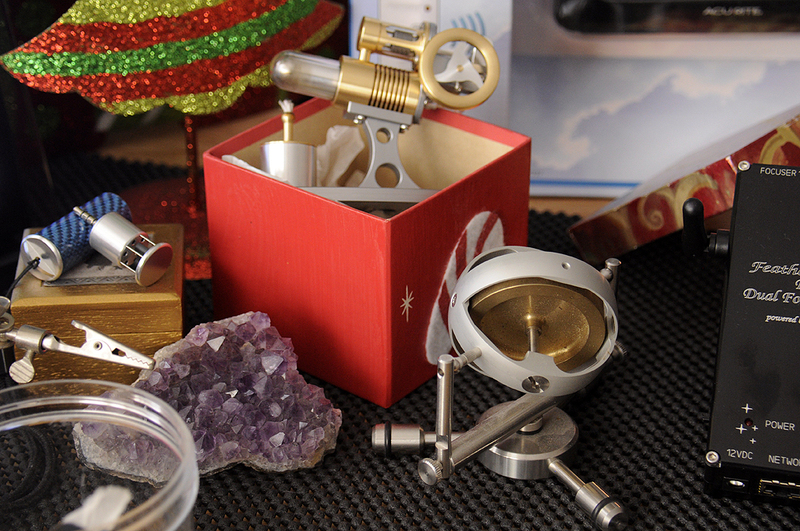 Got some curious minds on your gift list? Help nurture them with gear that will help them explore things they can’t see with the naked eye. Intel Play Digital Microscope – The Intel Play QX3 digital microscope can not only magnify specimens up to 200 times, but the images and animated movies captured by the software can be made into stickers and posters, or shared with friends via email. NeuroSky Mindwave EEG Headset – Simply slip on the headset and see your brainwaves change in real time. Monitor levels of attention and relaxation, and learn how the brain responds to music and other stimuli. The Mindwave headsets are an excellent introduction to the world of brain-computer interface. 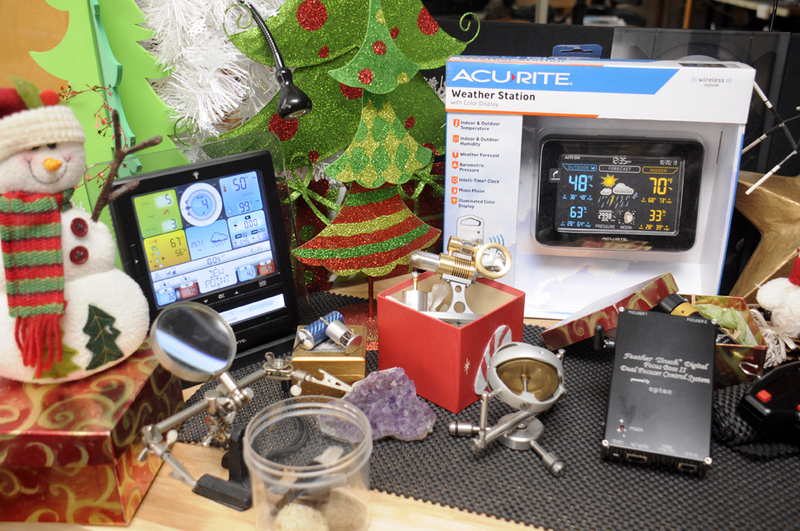 We looked at a few pieces of meteorological gear this year, and were surprised how many of our RainyDayScience readers were weather geeks! Skywatch Windoo3 – The Skywatch Windoo is a App-compatible plug-in weather station for iOS and Android Smart devices. It accurately measures Wind, Temperature, Wind Chill, Humidty, Dew Point, and Pressure, and records the data directly to the smartphone. Acu-Rite has gear not just for folks merely interested in the weather, but full-on data sharing storm trackers. Acu-Rite Weather Station – Tabletop design and attractive color display make it the perfect weather station for the desk or countertop. Self-Calibrating Forecasting pulls data from a sensor in your backyard. Acu-Rite Pro Weather Station with PC Connect – High-Precision 5-in-1 wireless weather sensor accurately measures the temperature, humidity, wind speed, wind direction and rain. Sensor data can be monitored privately, shared with others, or be reported to online weather communities like weather underground. Of course, by “night people,” we are referring to those on your list that stay up to watch the alignment of the Venus, Mars, and Jupiter. 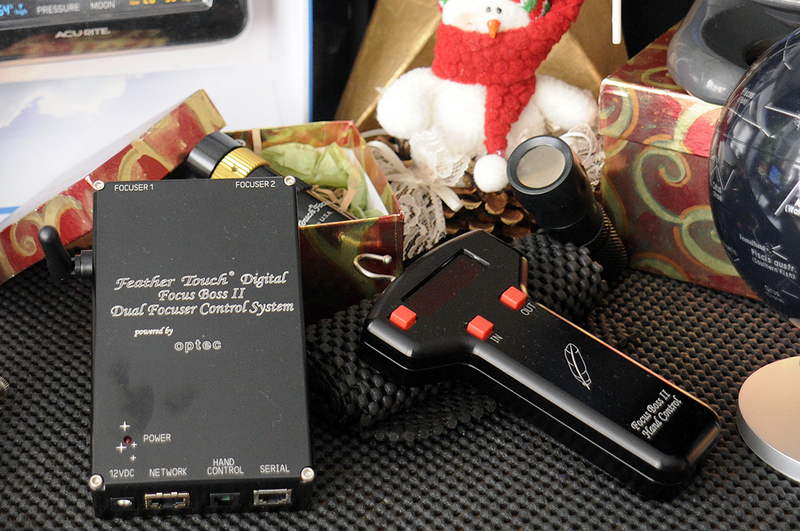 Feather Touch® micro focuser – Precision-machined and anodized black with a brass fine-focus knob. Two focus knobs allow for standard or 1/10th-speed focusing, making the MicroFocuser extremely accurate. Excellent for both imaging or visual observing. Focuser Boss II electronic focusing control 3 piece kit – The kit includes a hub, hand controller and stepper motor for digital focusing control. Hubble Optics Artificial Stars – Collimate anytime. 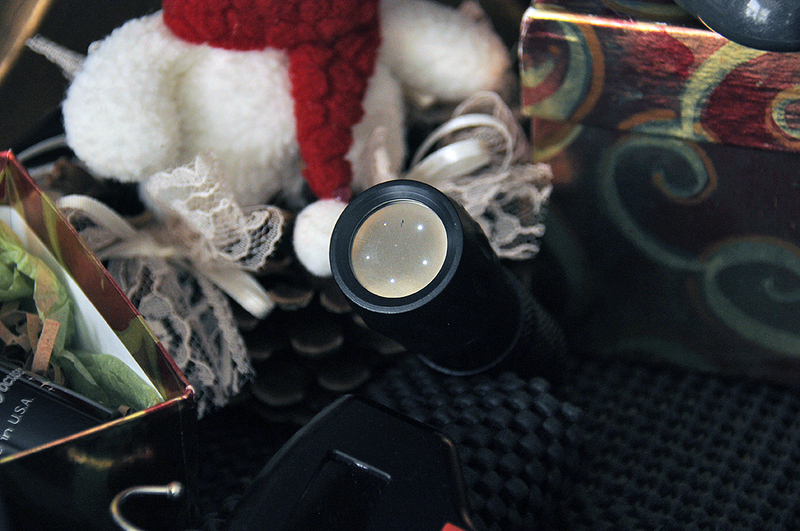 Five precision pinholes—50/100/150/200/250 microns—enable the testing of virtually all telescopes, regardless of aperture size, focal ratios, distance, or lighting conditions.